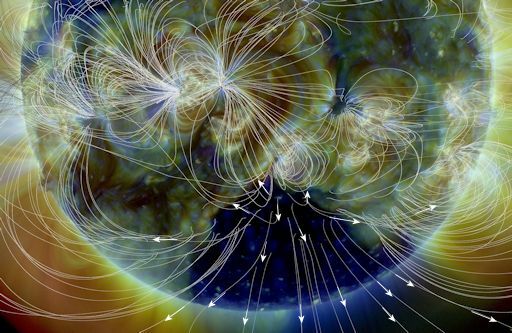 NOAA forecasters estimate a 90% chance of polar geomagnetic storms when the CME arrives. This doesn’t mean that a major space weather event is in the offing. The storm could be mild. It all depends on how the magnetic field of the CME connects to the magnetic field of Earth at the time of impact. According to NOAA, there’s only a 10% chance of nothing happening, so stay tuned. Sunspots AR2367 (left) and AR2360 (right) are growing with unstable magnetic fields that harbor energy for M-class solar flares. At the moment, both active regions are crackling with low-level C-class flares. It may be just a matter of time before a more significant eruption occurs. We do not yet know if the flare also produced a coronal mass ejection (CME). If so, the plasma cloud will probably miss Earth because of the sunspot’s off-center location on the solar disk. More flares could be in the offing. AR2257 has an unstable ‘beta-gamma-delta’ magnetic field that seems poised to explode again. 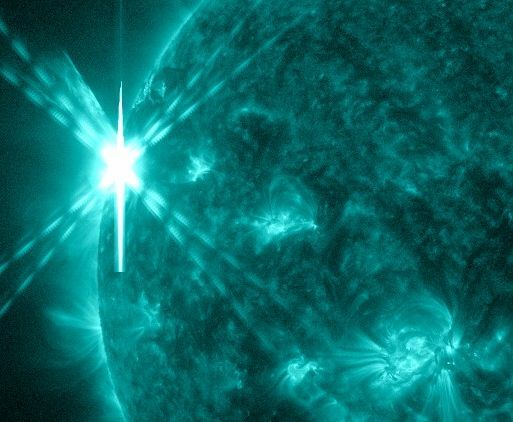 NOAA forecasters estimate a 40% chance of M-class flares and a 10% chance of X-flares on Jan. 13th. Coronal holes are places where the sun’s magnetic field opens up and allows solar wind to escape. A stream of solar wind flowing from this particular hole is expected to reach Earth’s orbit on Jan. 4-5. The bulk of the stream will flow south of our planet. However, not all of it will miss. NOAA forecasters estimate a 40% chance of polar geomagnetic storms when the solar wind arrives in the next 48 hours. 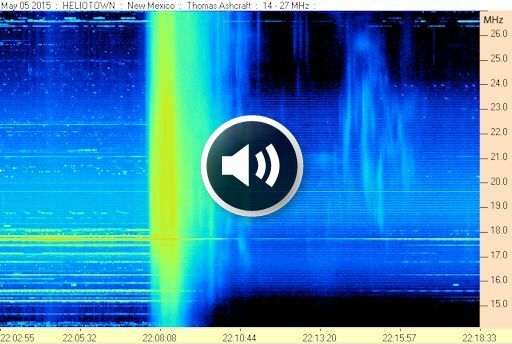 Updated: Radio emissions from shock waves at the leading edge of the CME indicate that the cloud tore through the sun’s atmosphere at speeds as high as 3,750 km/s. By the time it left the sun’s atmosphere, however, the cloud had decellerated to 1,400 km/s. This makes it a fairly typical CME instead of a “super CME” as the higher speed might suggest. Even with a downgrade in speed, this CME has the potential to trigger significant geomagnetic activity when it reaches Earth’s magnetic field during the mid-to-late hours of Sept. 12th. NOAA forecasters estimate an almost-80% chance of polar geomagnetic storms on Sept. 12-13.